In the 1980s, nearly one-sixth of the population of Bhutan was expelled from the country due to an ethnic cleansing policy against their Nepali heritage. Some fled to Nepal and lived in refugee camps for 15 years before settling in the Netherlands. 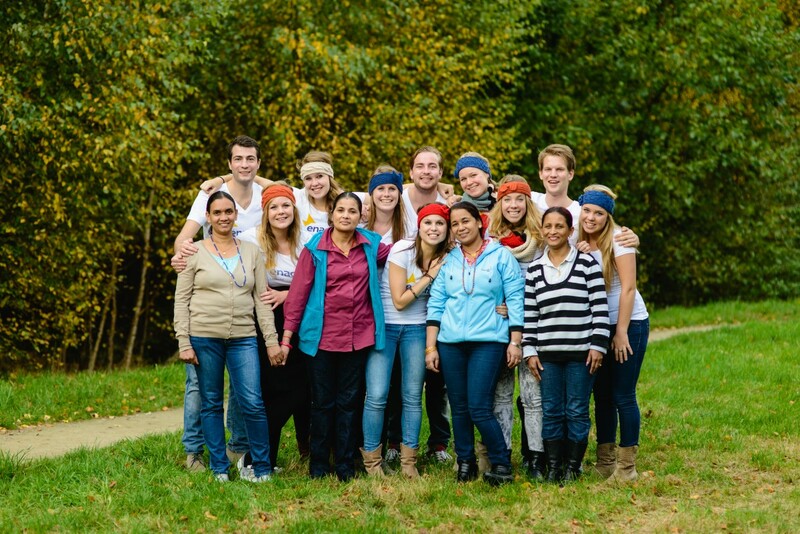 Now, women who live in Horst and Bilthoven are finding their place in society thanks to the Utrecht University Enactus team. 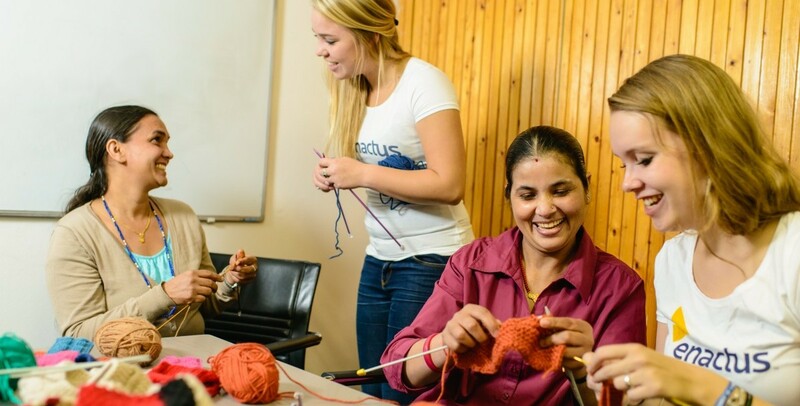 The team set up a knitting program called Sosjaal that helps five women earn extra income and integrate into Dutch society. The women make and sell tablet cases, phone cases, scarves, headbands and baby socks made from a blend of alpaca and merino wool. Products are sold in six locations in Utrecht as well as online, where customers can choose from different patterns and colors. 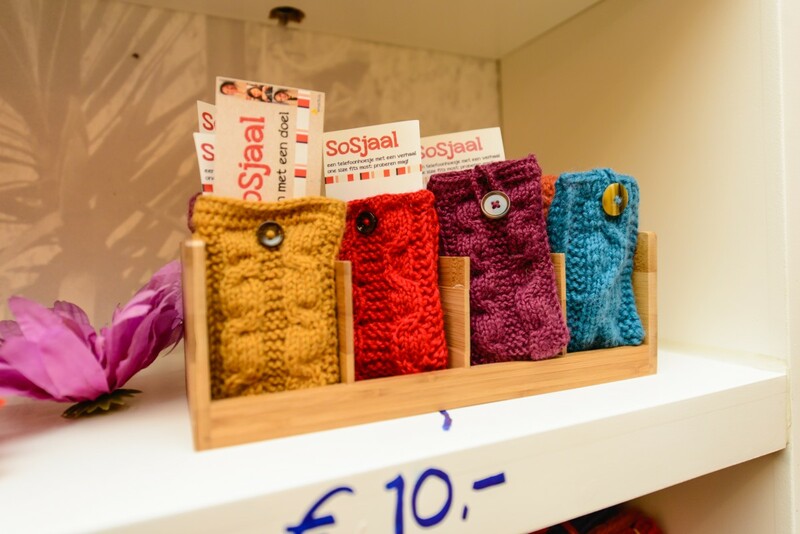 The prices of the hand-knit items range from €9.95 (12 USD) for phone cases to €49.95 (62 USD) for scarves. The team has also held two workshops where participants teach the general public to knit. 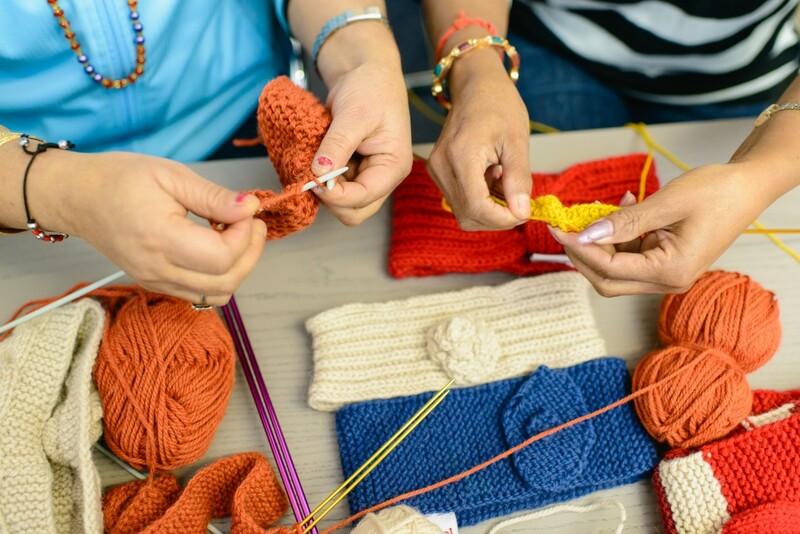 These workshops help women connect with Dutch society and share their stories. Sosjaal is a great opportunity for women to practice their Dutch and gain confidence while earning extra income. Overall, the project has made €1,600 (1,800 USD) in revenue. Most recently, the Enactus Utrecht University team presented Sosjaal at the 2015 Enactus Netherlands national competition and won. Read more about that competition here. The team will go on to present the project at the 2015 Enactus World Cup in Johannesburg, South Africa in October. To learn more about the Enactus World Cup, visit enactus.org/worldcup. To learn more about Sosjaal or see their online store, which ships exclusively to the Netherlands, visit www.sosjaal.nl.